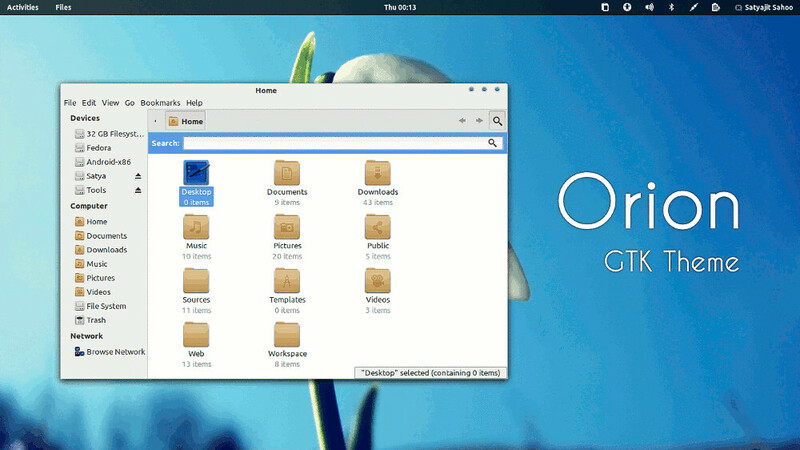 Orion is a modern light theme for Gnome. It supports Gnome Shell, Unity, XFCE and Openbox. The theme is compatible with the latest GTK 3.4 and uses the Unico engine. It also includes a GTK 2.0 theme using Murrine engine.